Hi Everyone, this is my first post. I was using 3 small humidors and Boveda packs. In December I picked up a Sure Seal double door 150ct display style humidor. Has three rows of cedar trays and looks great. I thought to save on long term costs I would pick up a Cigar Oasis excel plus 3.0. I need to refill every 2 1/2 to 3 weeks. That seems too often but I don’t know? Should I have to refill that often? I did pick up some foam style sealant to see if that makes a difference. If I decide to move toward a coolador can I still utilize the Cigar Oasis with longer time between fills? I add distilled water to my Excel maybe every 2-3 months, and even then it still has water in it. 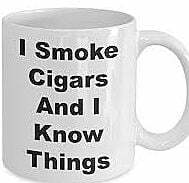 I use it in 300 count foot locker type humidor. PS Stay away from any sealant that is not vegetable/pectin based. I am just not a coolador kind of guy, but a bunch of folks on here love em. There is just something about a wood humidor that pleases me. Welcome to the forum man. I'd say you went above and beyond with the Oasis but it should do fine in a cooler. Speaking for myself, I'm a 100% boveda man whether it be a desktop or a cooler. They're the most cost effective for most setups and will last a lifetime if you recharge them regularly. Now if you get a tower humidor that's a whole different animal. Be sure to utilize that lovely search bar at the top of the page. There's already a ton of discussions on this topic. How expensive are your cigars? The better the seal on your humidor, the better results you will have. Ask 10 people which humidification device is best, you might get 7 different answers, but I've learned from the folks around here that simple works best. A Coleman Xtreme cooler and Boveda pretty much is king and one of the least expensive options. Those Boveda will last a long time, close to a year inside a good cooler. If you want to use what you have, some concessions have to be made. I have all kinds of setups, ranging from simple to crazy, but that's just how I roll. I also use both the Cigar Oasis Plus and the Humi-Care EH Plus, and I like them both, but the Humi-Care I like a bit more because it has a warning alert when it runs low on water. I also use passive beads and other methods to humidify, but that's me. As long as you can maintain a constant RH you are looking for, you've got the golden ticket to success. As a final note, I will say that if I had to do it all over again, I would only use Boveda and coolers...they don't look pretty, but they work awesome. Thanks everyone for the great advise and input. 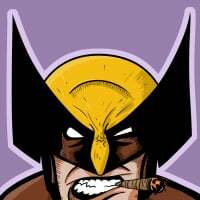 I have spent a decent amount on the cigars so that is priority. Based off of what jd50ae said I am refilling way too much! As cool as the display humidor looks it just doesn’t seem worth the effort and cost. I should have known that going into it, but I am stubborn lol. What 300 ct humidor do you have? I guess it’s time to decide wood humidor or coolador! I had no idea in the cooler the Boveda could up to a year! I agree may not look the best but if it works that well definitely something I need to consider. Thanks for the welcome and input. If I wouldn’t have sprung for the oasis I would probably switch back to the Boveda as well. Only thing now is to figure out what humidor I want to use first. The Boveda would get dried too quick I imagine in my current set up. Everybody's weather is a little bit different, depends where you are how much humidity you need to add or subtract. I am in Arizona so it's a pretty much add add add deal for me. Mrs. Dirt got me a display type humi a while back that had a little key to lock it, I didnt think much about it, who is going to steal my cigars. But the lock actually sealed the unit a little tighter, didn't use nearly the humidity to keep it happy. 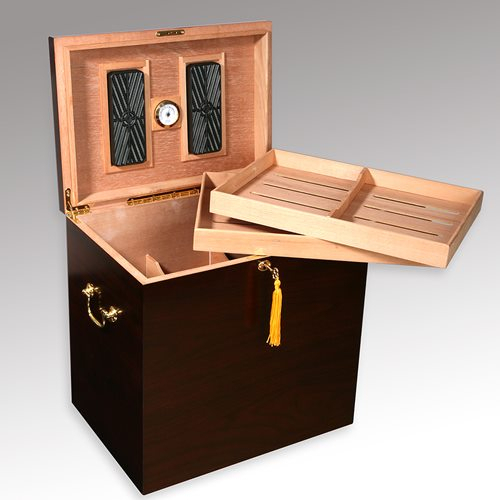 Havana Foot Locker Humidor - C.com carries them. Once in a while one will show up on "Sprint". Of course a smaller "go to" humidor is in easy access sitting on my desk. I got this one on Sean's (at C.com) recommendation. Seasoned it and put in the Excel, which he also told me about. Great combination. Thanks! I am in KS so not as dry as Arizona but not humid either. Maybe that has something to do with it. How often do you refill your Cigar Oasis? I always kept mine locked, just because I thought it would help with the seal as well. I added some foam stripping and hopefully that will help. That is great looking! I only have one desktop humidor left, but that is for the small amount of infused. The Tabaks are great. If this cabinet style doesn’t work out I will look these up but I am really leaning toward a Coleman extreme as others have posted. I appreciate the info on yours. Kind of a fan of those coffee infused myself, and I keep them separate. The acid are too herbal for me, but I agree the Cafe Con Leche and dirt torpedo natural are great.